Sungjin Cho and Fumin Zhang received the runner-up Best Student Paper Award at the 11th ACM International Conference on Underwater Networks and Systems, held October 24-26 in Shanghai, China. A Ph.D. student in the Georgia Tech School of Electrical and Computer Engineering (ECE), Cho is advised by Zhang, an ECE associate professor who leads the Georgia Tech Systems Research Lab. 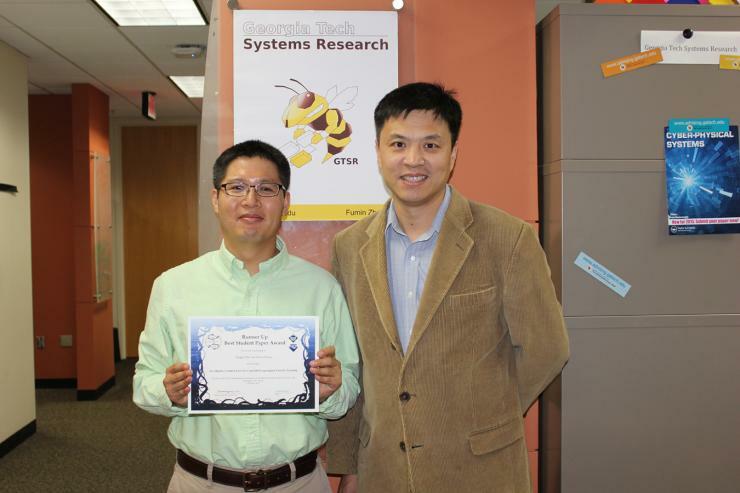 Cho and Zhang were honored for their paper entitled “An Adaptive Control Law for Controlled Lagrangian Particle Tracking.” Autonomous underwater vehicles (AUVs) serve as mobile sensors for measuring environmental fields in the ocean. However, navigation of AUVs is a challenging task due to influence from unknown ocean currents. This paper presents an adaptive control law that increases the accuracy of navigation while estimating ocean current.